Education minister Simon Birmingham has announced that all Australian six-year-olds will soon be required to do a phonics test and opinions are divided. Researchers, parents and others concerned about our system’s failure to identify children who initially struggle to learn to read – and can go on to have a reading disability – have pushed for this test to ensure children are getting the support they need early on. But the announcement has divided opinions. And at first glance it does look like yet another impost from on high – on already overwhelmed teachers. Some are concerned it is an unnecessary waste of money that should be channelled into intervention, or that the test will prompt teachers to practise test items. Okay, measuring children’s early phonics skills alone won’t make a difference to how early reading develops. But if you don’t properly measure something, you can’t properly manage it. And arguments about children practising how to read short, real and made-up words is precisely what will help develop phonic knowledge, and should be encouraged. But, looking more closely, this test has significant potential to reduce teacher workloads across the school system by identifying students at risk of reading failure early. This provides targeted support and prevents the need for teachers to cater for an increasingly wide ability range of students as they move through primary and into secondary school. It also has the potential to sharpen teachers’ focus on a key area – reading – that students nationwide continue to struggle with. While national average performance may have shown a statistically significant, but relatively small, improvement since national testing (such as NAPLAN) was introduced, this is yet to be seen in high school years. And not all states have improved to the same extent. Is it actually a test? The word “test” conjures up ideas of an external assessor and associated stresses, but the child’s classroom teacher would administer the literacy screener individually. It will be not unlike the on-entry assessments five-year-olds typically complete when they begin the foundation year of school in some states. Children would be presented with a list of real and made-up words – and teachers would record their score. This in itself is highly informative for teachers. And it’s preferable to sending students to a literacy specialist for assessment, which is common practice in many schools. After listening to each child, teachers will know whether children can blend single sounds, or which letter combinations (for example, /sh/) they need to reteach. The test should take between five and seven minutes per child. The aim is to identify children who aren’t learning to sound words out well. And to detect this early before they fall too far behind their peers. Many young children can give the false impression that they are learning to read, when in fact they are mostly guessing words from pictures or context. This guesswork is often aided by the provision of repetitive, predictable texts. It is also sometimes encouraged by teachers taught the “three-cueing” model of reading at many universities, and promoted by some government and non-government education authorities who recommend particular methods. Rather than apply the letter-sound relationships to systematically decode words, children are encouraged to use unreliable strategies such as looking at the illustrations, rereading the sentence, saying the first sound, or guessing what word might “fit”. Research shows that the three-cueing model lacks a scientific basis. Yet people continue to use it because it is familiar and it is marketed as a strategy to promote reading comprehension. 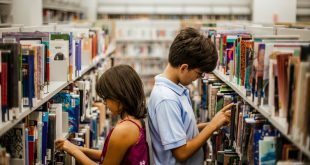 While the goal of reading is undeniably to extract meaning, children who cannot accurately read the words on the page are invariably very poor comprehenders. To become a strong reader, a young child must learn how to sound words out accurately and quickly. No exceptions. Decades of research back this up. Sounding out words is very difficult for around 20 percent of children in the general population, and typically a much higher percentage in areas of disadvantage. We know that such children, if left unassisted, usually never catch up. But don’t teachers already do this? Regular monitoring of the critical precursor skills young children need to become fluent and accurate readers, such as identifying the first sound in spoken words, is something effective teachers already do. For those who don’t, the requirement to listen to every six-year-old read the same list of made-up and real words will at the very least flag those children who are struggling and draw attention to their instructional needs. Many schools use free one-minute assessments to test these skills. These are very similar to the literacy test being proposed. The cost of the UK Phonics Check has been estimated at £10-12 (around A$20) per child. The most useful tests investigate children’s ability to read both real words and short made-up-words like lib, mep, gax; these are examples used in the 2016 Phonics Test in England – the model Australia will be using. What’s important is that students have not seen these made-up words before. If they have been taught the precursor skills – letter sound knowledge (phonics) and the strategy of decoding – this assessment will show it. All of us have to be able to attack words we’ve never seen before. Look at Pokémon cards featuring names such as Pikachu and Nidoran; place names such as Naringal; brands like Bupa; or characters in a book, such as Hagrid. The earlier children can develop this skill, the better their chance of reading and spelling well. The problem is that the assessments some schools use don’t always include made-up words. Some children start school being able to recognise words because of their shape or associated picture clue, but cannot independently decode. Made-up words are objective and favour no child. The assessments of reading used, like the Observation Survey or Running Record – which tend to be more labour-intensive – focus more on reading comprehension, vocabulary and fluency. These are important, but if a student is struggling in any of these areas, the main reason is often due to poor sounding-out skills. Children who struggle to sound out words must be identified and given extra help as early as possible, both at a classroom level and then in small groups. Many parents quietly pay tutors for expert help outside school hours. Many other parents can’t afford this. The consequence for taxpayers is a much larger bill for things like unemployment benefits, forgone taxes, adult literacy courses and prisons. The school-to-prison pipeline is real. How will the phonics test be implemented? We don’t know yet exactly how the phonics test will work here because the minister’s expert panel hasn’t done its work yet. However, we can be encouraged by research into the impact of a similar test in England. There is some evidence that, in helping sharpen teachers’ focus on phonics, the test led to a greater emphasis on systematically and explicitly teaching children about sounds and their spellings. This was something our national inquiry into the teaching of reading recommended over a decade ago. For teachers who are ideologically opposed to explicit, systematic phonics instruction, this literacy check is an unwelcome impost. 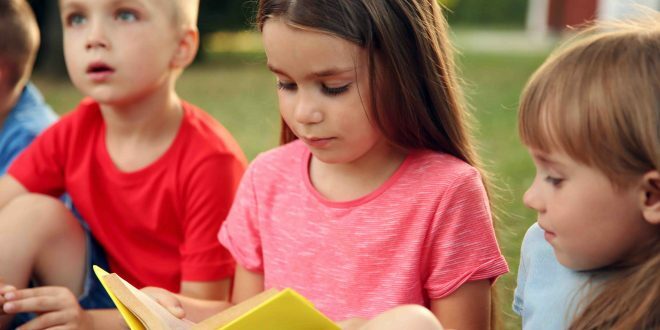 However, for many schools that include phonological awareness and systematic decoding instruction, it is simply a validation of their effective early reading instruction. This piece was written by Lorraine Hammond, Senior Lecturer in Education, Edith Cowan University. The article was originally published on The Conversation (and co-authored by Alison Clarke, a speech pathologist at the Clifton Hill Child and Adolescent Therapy Group in Melbourne). Dr Lorraine Hammond is researcher and lecturer from Edith Cowan University in Perth, WA. She has a particular interest in preventing literacy based learning difficulties. Lorraine lectures in Direct Instruction and Learning Difficulties and is currently conducting research on Explicit Instruction.